After the earthquake of 2007, thousands of families were left without homes, being exposed to the elements. Many resorted to building structures with whatever they could find, usually thatched panels. However, to call these a home would be a gross exaggeration. The families are in constant contact with unclean environments. The roofs aren't waterproof and even with the slightest rain everything in the home gets wet. With nothing other than dirt for floors, they soon find themselves living in the mud. Finally, unable to seal up the home sufficiently well, mosquitos easily enter, bringing both discomfort and illnesses. The families are usually young, with parents no older than 30 and with children no older than 10. It is common that they have welcomed grandparents into the home as well. Again, these have been their living conditions since 2007. Sport areas: Many of the children that grow up in shantytowns end up getting involved with drugs and alcohol. Usually lacking some of the most basic comforts, even the most precarious means for escaping become appealing. The idea behind building sports fields is to offer them an opportunity to form themselves in the spirit of comradeship and to have fun in a healthy way. All of this can take place within eyesight of their parents. So far, Missioni MVC has built more than 50 houses for the victims of the 2007 earthquake in Cañete, Peru. In the past two years, two sports fields with respective sodded areas have been built in the San Juan de Miraflores shantytown, located in Lima. Both projects are accomplished with the help of associations that have years of experience in their respective fields. Civil construction experts are hired in cooperation with the municipalities. These experts are the ones directing the manual labor and supervising for the safety and the success of the project. Italian youth between the ages of 15 and 17 participate in both projects. While still demanding, they take care of the more simple tasks such as mixing materials, transporting them from once place to another, painting, sanding, etc. The houses that were built by the Organization are prefabricated. This simplifies the construction phases and allows to make a real difference in people's lives in a relatively short period of time. Upon arriving at the worksite, the Organization works to flatten and prepare the terrain. Once done, a shipment of the necessary materials is brought in, unloaded, and distributed. The youth and adults are separated into groups; each group is normally expected to construct two houses. The adults accompanying the trip are constantly present on the worksites and assure a good relationship between the experts, the youth, the locals as well as the overall success of the project. As the project has matured, more and more youth have manifested their desire to return and continue participating. Thus, those with more experience are able to help those who are participating for the first time. This has generated a very positive dynamic for forming leadership capacities. Another element worth mentioning is the contact with those who are receiving aid. Missioni MVC prides itself not only on its capacity to build constructions, but also in forming personal relationships with those involved. Much of the work takes place next and in collaboration with the locals. Working together side by side allows for a true intercultural exchange to take place between local inhabitants and the youth. The Nando Peretti Foundation has awarded a grant for this project, to achieve the goals oulined below. House building: the project is directed at the families who are currently living in conditions of extreme poverty. Missioni MVC looks to offer them a solid foundation upon which they will be able to build better lives, both for themselves as well as for their children. The prefabricated houses contain three different living spaces. They are comprised of a family room, a bedroom for the parents, and another for the children. The importance of allowing parents some private space can hardly be overstated. In addition to the evident benefits for the daily interaction of the families, the houses promise a significant improvement for health conditions. As mentioned earlier, being exposed to the elements - be it the weather, be it mosquitos- they are regular victims of different respiratory illnesses caused by dust as well as others brought by the mosquitos. Even from a psychological point of view, the guarantee of having a dry and clean place to come home to is worth a lot. The association that Missioni MVC works with in Cañete, Peruvian Projects (Proyectos Peruanos), has already built more than 150 houses. 56 of the houses have been built with the funds and volunteers that come from Mission MVC. Each year a representative of both Missioni MVC and Peruvian Projects return to visit the worksites in order to verify the correct use and maintenance of the houses. Sport areas: with this project Missioni MVC wants to offer younger generations of families that live in extreme poverty a decent place to play sports, to grow in friendship and in the meaning of community, all within eyesight of their parents. The children that come from these social classes are very exposed to delinquency and drug use. In past years, Missioni MVC has built multi-use sporting fields that work for soccer, basketball, and volleyball. Most of this works involves the preparation of the terrain, cement mixing, and the installation of the goals or any final touches. This has benefited thousands of those who live in the different shantytowns of San Juan de Miraflores, a district that is located in South Lima. 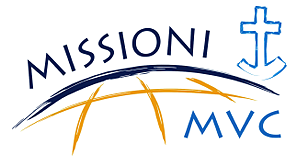 One of the particularities of Missioni MVC worth highlighting is the way in which we are able to raise the youth's awareness of social and humanitarian issues. By spending three weeks of their summer vacations to build houses and sports areas, they get a hand's on experience. Hearing about poverty and immerse oneself in it for three weeks are two very different things. Since its foundation in 2006 (as Onlus since late 2011), we have involved more than 200 youth in these volunteer trips. In 2014, 68 youth from both Rome and Milan, between the ages of 15 and 18, participated. Each youth pays for his or her costs and collaborates in the projects with a quota of 300 euros. The rest of the necessary funds are collected thanks to various fundraising events and donors.